As an Enlightened Capitalist community member, you can use our job board to post your jobs to those who are more likely to share similar values. Enlightened Capitalists business leaders believe in being better employers, vendors, customers, investments, corporate citizens. Enlightened Capitalist employees take a stand and look for alignment between their vision, core values, dreams, and purpose and to the employers they support. Enlightened Capitalist employees want to work for businesses that take better care of our planet and its people – including customers, communities and of course, its employees. Employees agree to a better, more enlightened, contract, where they show up fully to do meaningful work to the best of their ability while being supportive of fellow employees and accountable for producing expected results. In exchange, they expect their employers to treat them as a valuable addition – the secret sauce – to the success of the business. 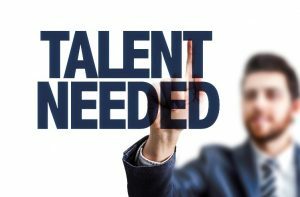 We help both employers and employees to find each other, so post your job and build your dream team. Enlightened Capitalists share their impact, their best practices and things-to-watch-out-for advice and their experiences with those who are also committed to being a better Enlightened Capitalist. 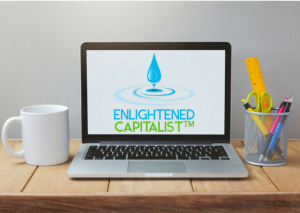 We, at Enlightened Capitalist, are committed to bringing your messages to the world to help others learn from you, while you also promote the positive impact you are making. We know that trailblazing isn’t easy – and sometimes it’s downright lonely – but the feeling you get when things click and you achieve what you set out to do makes it all worthwhile. 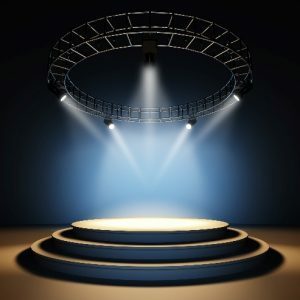 Let us shine the spotlight on your work by interviewing you. We believe that if you can do something once and repurpose it, then you should do so, so our President and primary interviewer, Carol, is experimenting with a new format for the interviews. Ultimately, it’s your choice whether you’d like to be interviewed for 7 minutes, 27 minutes or 57 minutes, so please look at what each entail and then let us know when you indicate your interest using this form. 7 minutes with ___________ (that’s you!) where it’s a fast paced, “Here’s who I am, my personal purpose is, I work at as “your role”, here’s what I’ve done, this is why I did it, here’s what I learned, and here’s the impact I’ve made”. This podcast is designed for people on the run, so it’s going to be similar a morning news show segment. The audio for this part of the interview is intended to be used in our “coming soon” iTunes channel and we may take the video and use it in a project such as an EC morning “TV” show. A further 20 minutes (for a total of 27 minutes plus ad time) is intended to be used to create a video episode that will be uploaded to YouTube and featured in “Enlightened Capitalist TV”. This part is more detailed and will include stories, case studies, examples, product descriptions etc. and we will add elements to make it a more exciting visual (video) interview show. We may also use your lessons and experiences as case studies in our books and/or include the interview in our magazine. And the final 30 minutes will be turned over to you to teach what you’ve learned and to give people exercises to complete. This no-fluff, master-class may be used in our membership areas, our Academy, another version of an EC TV show, our magazine and/or our Virtual Summit. Parts of your presentation — such as quotes, suggestions or exercises — may also be included in books, with attribution. Your compensation for sharing your expertise, in a 30-minute “classroom” presentation is a complimentary 1-year Reinventor Membership (value $599 – click here to see what’s included). Note: each Virtual Summit has a theme and specific topics, so your presentation may or may not be suitable. 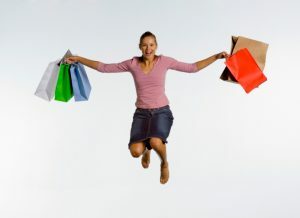 You’ll be asked to deliver 3 – 5 powerful steps to take or items to explore that can transform viewers lives and/or businesses, along with an explanation about why it’s important, what the expected outcomes should be and the suggested way(s) to do the exercises, along with pitfalls to watch out for. You can suggest reading specific books, watching other videos and accessing other resources, and you can provide tools which will be downloaded BUT you cannot pitch any products and services either subtly or overtly during your presentation. All our interviews are based on the topics we cover as an Enlightened Capitalist. Our intention when we interview people is two-fold. Firstly, it’s to give the audience substance that inspires them to “Be Good, Do Good and Do Well”. Secondly, it’s to give you the most exposure as we can. 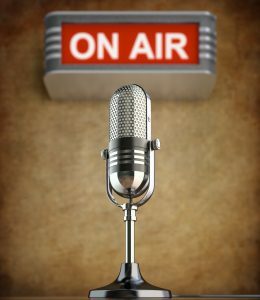 We recognize some interviews experience sound or other technical issues which impact the ability to use all or parts of the interview in an audio or visual way, so we’ll use the interview in other ways. We also recognize that people are people and personalities, approaches, moods and other stuff can cause the interview flow to be a bit off. We’ll do what we can to get back on track. We may extend the interview so we can edit later. We may also decide to use the transcript rather than the interview itself. If you’d like to be part of this community engagement and peer teaching initiative, please download the interview questions and then complete the form. Our interviews are not fluff or sales pitches. They are fast paced, content rich and provide educational and actionable insights to assist others. We may quote you in our books, blog, articles and other marketing materials. If you agree to be included in the Virtual Summit, we ask – but do not require – for you to be available live during the Virtual Summit for a virtual panel discussion or to answer questions from attendees. We will give you the schedule when we interview you and you can decide at that time if you are able to attend “live”. Virtual Summit presenters are not required to email or to send social media shout outs, although they are appreciated. An affiliate program is available if you would like to promote the Virtual Summit or membership. Our intention is to start a magazine in 2018 to share best practices, spotlight our community and grow the Enlightened Capitalist movement. When we are ready to publish our first issue, we’ll update this link. If you’d like to contribute, be interviewed or advertise for the magazine, please email Carol@EnlightenedCapitalist.org to arrange for a time to chat. Are you looking for something valuable to watch, something that has the potential to change your life, your business, our planet and/or society? Well, you’ve come to the right place. We’re in the process of creating an online “TV channel” to entertain and educate you so you can become a better Enlightened Capitalist. We’re expecting it to launch in 2018, so check back here for the link and discover the types of shows and who is hosting them. 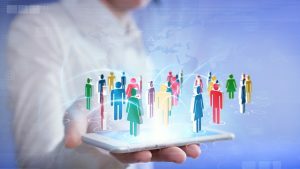 Enlightened Capitalists want to support others who are committed to reinventing business by being a better employer, customer, supplier, investment, partner and corporate citizen. 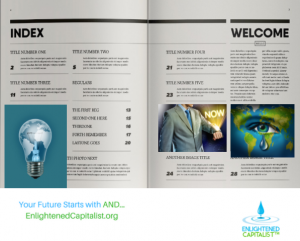 The Enlightened Capitalist directory is a great place to find people and businesses to buy from, sell to, collaborate with, work for, invest in and learn from. It’s available in the membership area. People want to support you, your efforts and your business but they need to know who you are, what you believe in and how to support you, so be sure to list yourself in the directory as soon as you become a member. You want to support other Enlightened Capitalists by buying their products and services but how do you easily discover what’s available? This is the reason why we are creating our Enlightened Capitalist marketplace. It’s specifically for products and services supplied, created or manufactured by other Enlightened Capitalists, so you know you’ll find valuable products which are good for you, the environment and the communities the brand supports. We can all use a hand to expand our reach and promote our products and services to our ideal clients/customers. That’s why we are in the process of creating the Enlightened Capitalist store. 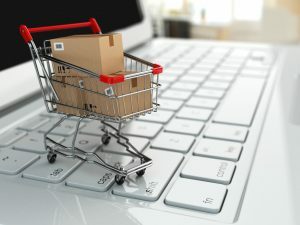 Think of it as a tiny little Amazon-like marketplace but only for Enlightened Capitalists – a place where people can find more about you and buy your products. Contact Carol@EnlightenedCapitalist.org for more information. Connect with your ideal students / customers when you host your educational content in our Academy. The Academy is for teaching individuals how to become more Enlightened Capitalists with assignments and other ways to experience the content in a practical way. The teaching material is delivered ahead of “class” so the student can ask questions, collaborate and give and receive advice with other students during class. Most Academy programs are delivered online. However, we also have Academy Live events, which we announce on our events page. Are you one of the 81% (or 90%, depending on the statistic) who wants to write a book? 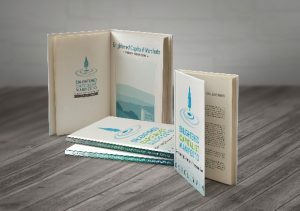 Our founder, Carol Wain, spent 9 painful months “birthing” her first book, Guerrilla Tourism Marketing, and she has started writing at least 5 more books that she has yet to finish. Writing is definitely a process and it’s not always an easy one. However, the satisfaction of publishing your book makes it all worthwhile. The sense of accomplishment alone makes the pain seem to go away. The recognition as an author – someone who actually wrote, edited and published their work – stays for a long time, especially when the content is valuable and actionable. And, let’s be honest – a valuable book is a great way to get your foot in the door as you are not just another “sales person”. You are an author! Carol and her team of writers, editors and publishers are inviting you to share your expertise, experiences, unique perspective and suggestions to help others become more Enlightened Capitalists. You can co-author a book with Carol as the primary author, you can co-author a book using an approved ghost-writer, or you can co-author a book with a number of other authors (a compilation book). 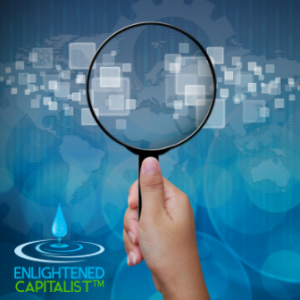 Contact Carol@EnlightenedCapitalist.org to discuss how you can be an Enlightened Capitalist book author. You’ll notice a theme on this page – that you deserve to be recognized for being a trailblazer and taking a stand to reinvent how business operates while you help to transform lives. The reason is that trailblazing is tough, changing people’s perspectives requires tenacity and being told over and over that “it can’t be done” is draining. Enlightened Capitalists are hardy folks though. We stick to our beliefs that we need to change our expectations, behavior, practices, policies and how we operate our businesses. We pick ourselves up when things don’t go as planned and we try again. We often feel like we’re speaking a foreign language that no-one understands but it doesn’t deter us. We know that we are making a difference. We know that we’re building tomorrow’s business today to protect future generations. We know that our efforts to treat people well, respect our natural resources, reduce our carbon footprint and our waste, share our knowledge to help others and create a sustainable business matters. Our ripples of positive impact deserve to be recognized, shared and celebrated so others can learn from us and follow our lead. And we nominate ourselves and other Enlightened Capitalists so they can bask in the spotlight while being recognized for everything they are doing within their organizations and communities and for society and our planet. Disclosure: Some of our consultants, educators, confidential advisors, mentors, service providers, facilitators and speakers are employees or independent contractors of Marquee Incentives, Marquee Experiences, Marquee Marketing and/or Marquee Events which are also divisions of our parent company World Incentive Network Inc. Other consultants, educators, confidential advisors, mentors, service providers, facilitators and speakers are independent contractors and/or strategic partners with contracts to provide services for Enlightened Capitalist, a division of World Incentive Network Inc.